Discipline: is it an ugly word or a good thing? Sometimes our discipline requires extreme effort on our part (early morning workouts, I’m looking at you); sometimes, it requires sacrifice. Anything we choose to do right now means there is something else we can’t do with this moment. I prefer to think of discipline as remembering: I remember that I want to be fit and healthy in the long run, so I exercise today. Or that I want to have 50,000 words written by the end of November, and will be doing myself a favor if I write at least 1,667 of them today. 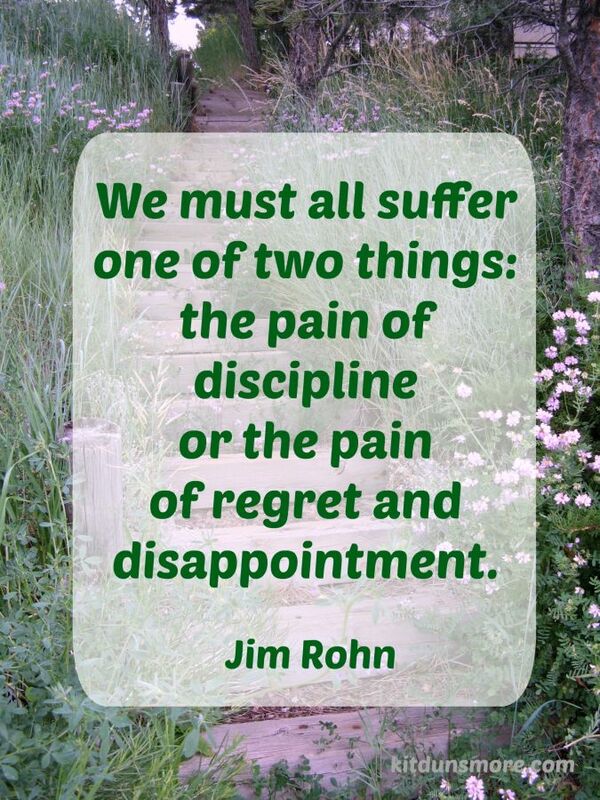 The pain of discipline is usually short-lived. The pain of regret is not. That makes the choice a tiny bit easier. Do you like the idea of discipline, or is it an ugly word?